Tangy Asparagus Melts are a springtime treat with fresh asparagus, but you can enjoy them any time of year. 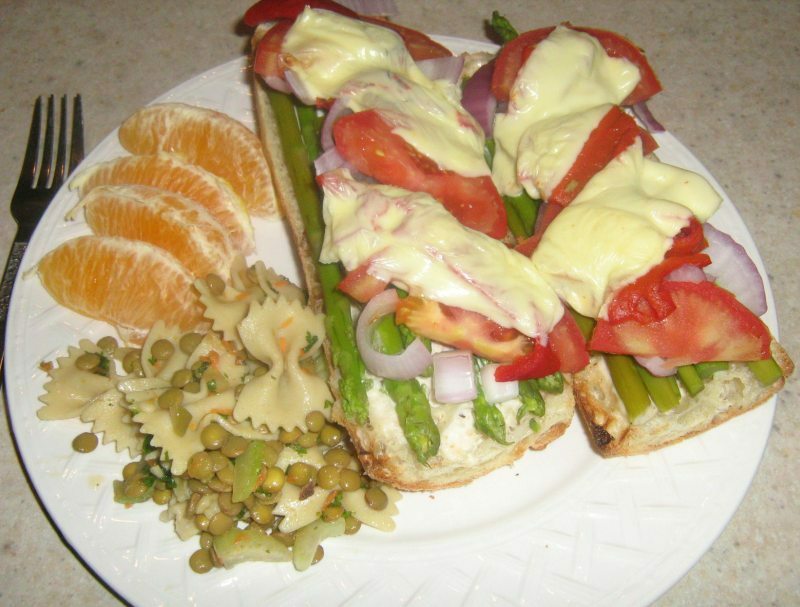 And we think these asparagus melt sandwiches will have your family asking you to make them again and again! They are really tasty and tangy. A pre-emptive warning though: Have your napkins ready! Wash and snap the ends off the asparagus. Bring a large skillet of water to a boil and place the asparagus in the skillet. Allow it to cook for about 4 minutes - should be crisp-tender. After the asparagus has cooked, drain and rinse well with very cold water. In a small bowl combine the Vegenaise, mustard, and horseradish and mix well. Slice the baguette in two. Then slice the two halves lengthwise to give you four sliced baguettes. Spread the horseradish sauce on the four baguettes. Place the asparagus spears on each of the baguettes. Top with roasted red pepper slices. Cut the tomato and onion slices in half, separating the onion slices into strips. 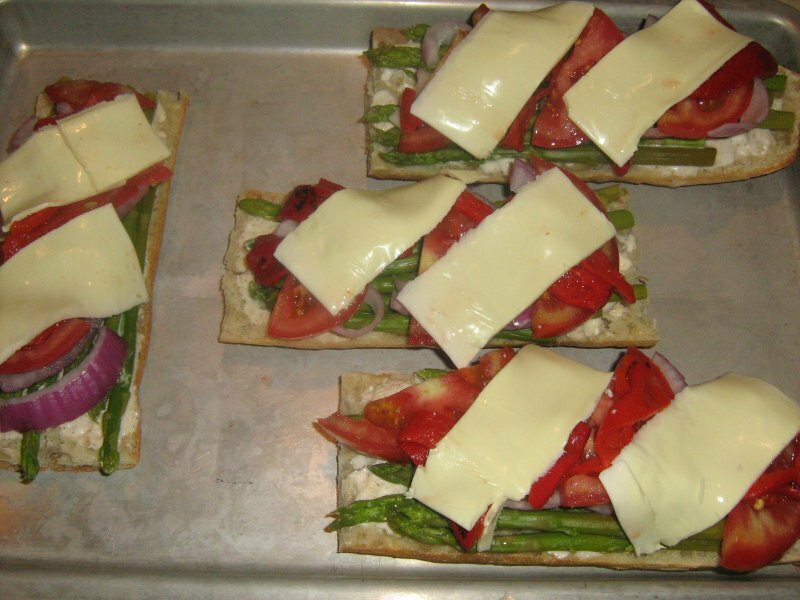 Arrange the tomato and onion slices on top of the asparagus and roasted red peppers. Lay 3 or 4 slices of the Veggie Slices Mozzarella on top of the sandwich. Place the baguettes on a broiler pan and broil about 4 to 6 inches from heat. Watch them so they don't burn and remove from broiler after the cheese has melted.